Click the button below to add the RHS Berry Nougat Collection to your wish list. Made using a family recipe that has been passed down through four generations, these bitesize cubes of berry nougat are a delicious addition to our new RHS Chocolates by Nature range. 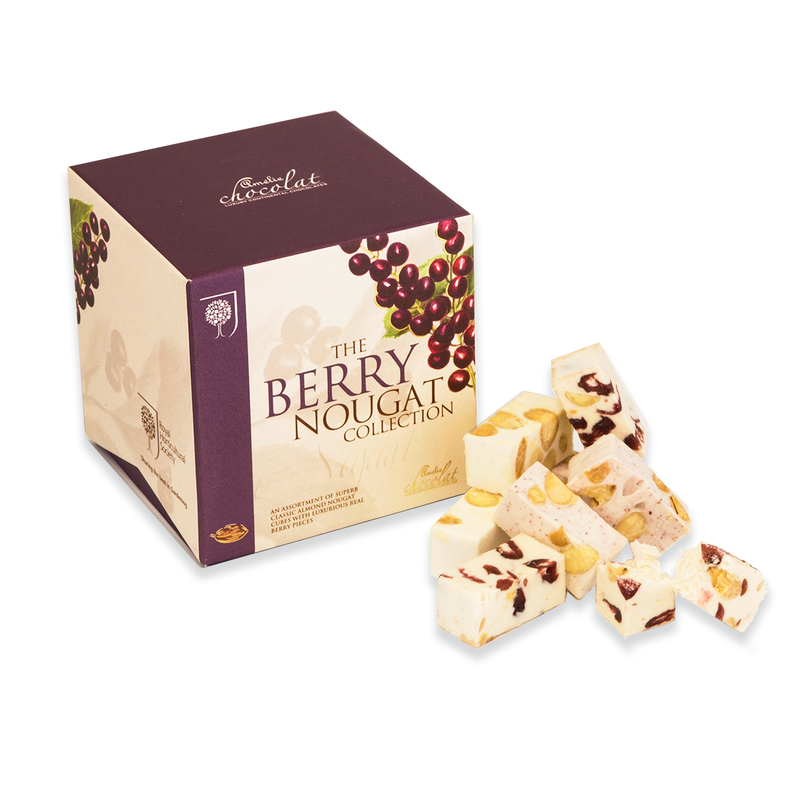 Considered a traditional Continental delicacy, only the finest sugars & nuts, and honeys & exotic vanillas are used in this delectable berry & vanilla nougat assortment. Finished with your personalised message card, and presented in a classic rigid gift box designed using exclusive artwork from the world renowned RHS Lindley Library artwork collection, these delicious nougats make a wonderful gift of indulgence ... or simply a moreish personal treat. Contains nuts, egg white, soya.